Today, Stardate 68649.4, I kegged Live Long and Porter. This beer had been fermenting for nine days, with some nice and vigorous yeast action along the way. Final gravity was 1.016, down from a starting gravity of 1.050. This works out as 4.5% abv. The slightly higher final gravity is probably due to the warm mash temp (155°), which I’m guessing left the wort a little less fermentable. Because this is a porter, I don’t consider the extra body a tragedy. The final product is a beautiful chocolate brown. In addition to a full 5 gallon keg, I also got one 22-oz. bottle. I am carbonating that with 2 carbonation drops (per the dosage instructions on the package). 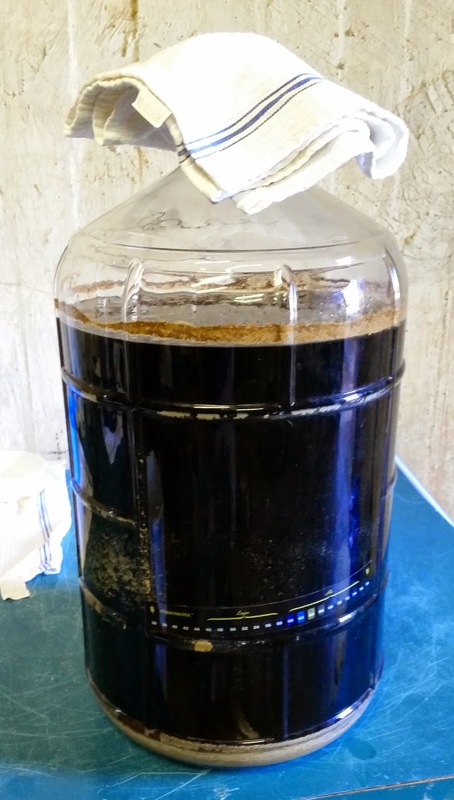 Because there is a little bit of “sludge”, and the bottling process wasn’t terribly tidy (will have to work on that for the next batch), I’m going to consume the bottled beer as soon as it is carbonated. The keg is carbonating under my usual settings for the keezer, ~13.5 psi at 42°, or ~2.5 volumes of CO2. This entry was posted in brown porter, porter and tagged Live Long And Porter, LLAP. Bookmark the permalink.